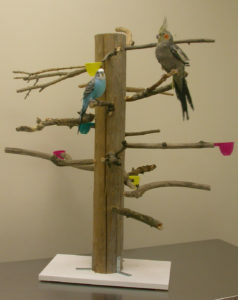 Allows your bird to exhibit natural foraging instincts in a safe, fun and entertaining way. 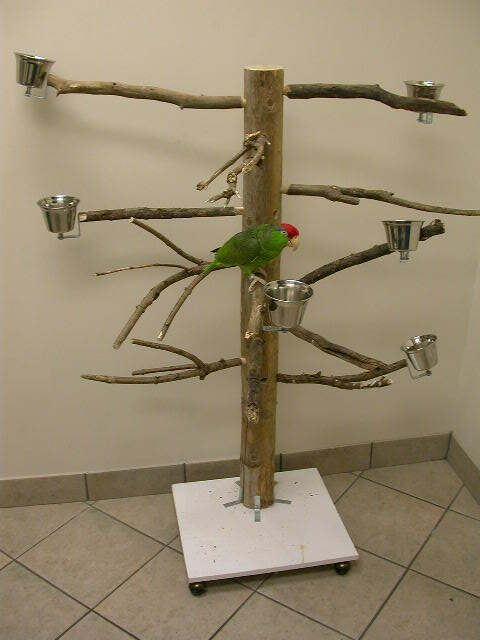 Affordable and easily replaced perches allow your bird to manifest natural chewing behaviours without having to replace entire tree. Interchangeable perches allow for changes in tree dynamics preventing boredom. An ideal enrichment tool for the feather- picked bird. 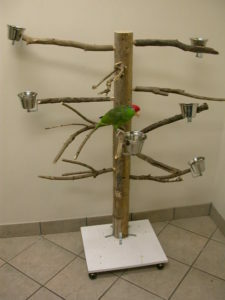 Custom built in Toronto by our own Dr. Evan Mavromatis to cater to the specific needs of your bird. Please contact us about pricing and other details. 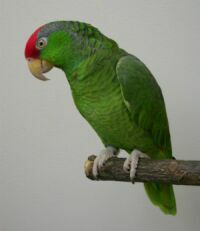 Ideal for smaller birds such as cockatiels, lovebirds, budgies, etc. Small base makes it suitable for table or desk tops. An ideal enrichment tool for the feather-picked bird. Includes 30″-tall central post, laminated base, 15-18 perches and bowls.